So I am delving into recessives for the first time with an Albino project. I would first like to point out that i detest Line and In-breeding in circumstances that do not require it. As I am not trying to prove out a new Morph or Line, I took my time and selected quality animals that are all unrelated. First up is the star of act one, "Diesel" My visual Albino Male, he is currently 225 Grams and pounding rat pups. 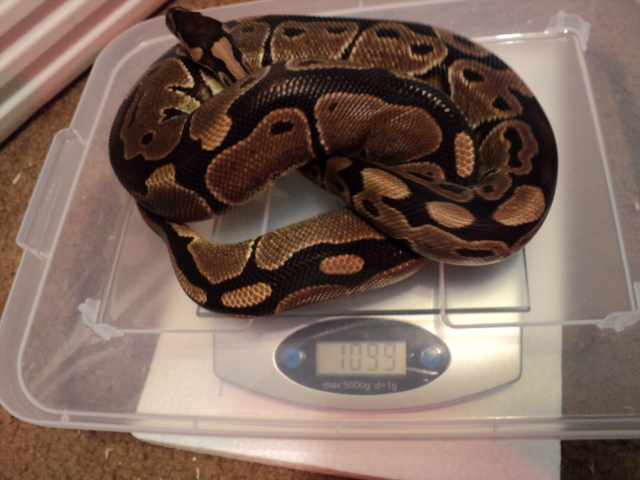 His Co-star in act one, "Delilah" the 1100 gram female Het. Albino, I hope to begin pairing them in early spring but time will tell. Of course when the time comes I will be pairing Her with a visual Albino and hoping the odds are good for some Albino Pins. Let me know what you guys think. The Pinstripe just shed tonight, and I plan on taking some pics of some of the snakes outside in the sunlight tomorrow, so hopefully I can get some nice ones of her and all the rest of the group. Can't wait till act 4. 0.1 2011 Albino (early) "Snakey Gurl"
0.1 2012 Normal (late) "Stardust"
0.1 2012 Spider (early) "Pixie"
0.1 2011 Het Pied (late) "Apple"
0.1 20XX Normal (??) "Marilyn"
0.1 20XX Normal (??) 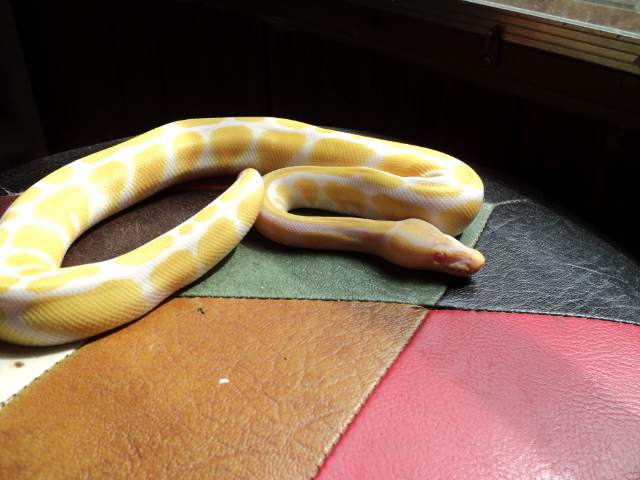 "Caroline"
1.0 2011 Het Pied (early) "Mudd"
1.0 2011 Enchi (late) "Batman"
1.0 2011 Normal possible het ghost (early) "Snakey Boy"
1.0 2011 Het Albino (early) "Alby"
1.0 2011 Het Red Axanthics (late) "Sabre Tooth"
They look good! I just love the pattern on that spider! He Is really Reduced and my Buddy says he reminds him of his Spider yellow bellies he produced this year. All I know he is a Spider guaranteed Het of Albino and I'm pumped to see him grow up! Looks like very good group to work with! 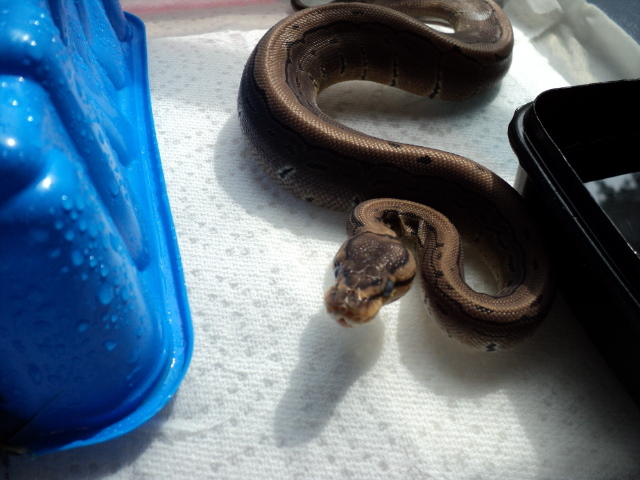 Looks very similar to mine but I left out the pinstripe het and went with the cinnamon het instead. In all Honesty, I would Really like to get a Black Pastel Het. Albino and Green Pastel Het. Albino. I'd Probably have to Breed the green Pastel Het though because it doesn't seem really common But I think a Gargoyle Albino Would be SO SICK!!! 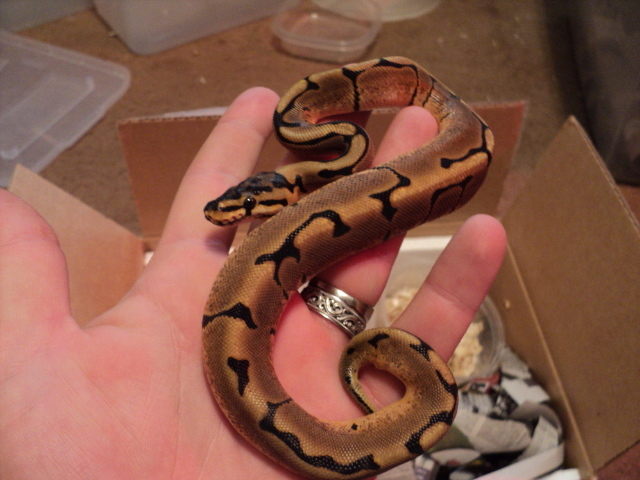 That Being said when you produced a Albino Cinny let me know and we'll trade, LOL!!! Last edited by BigJayPiercer; 09-24-2012 at 12:38 AM.